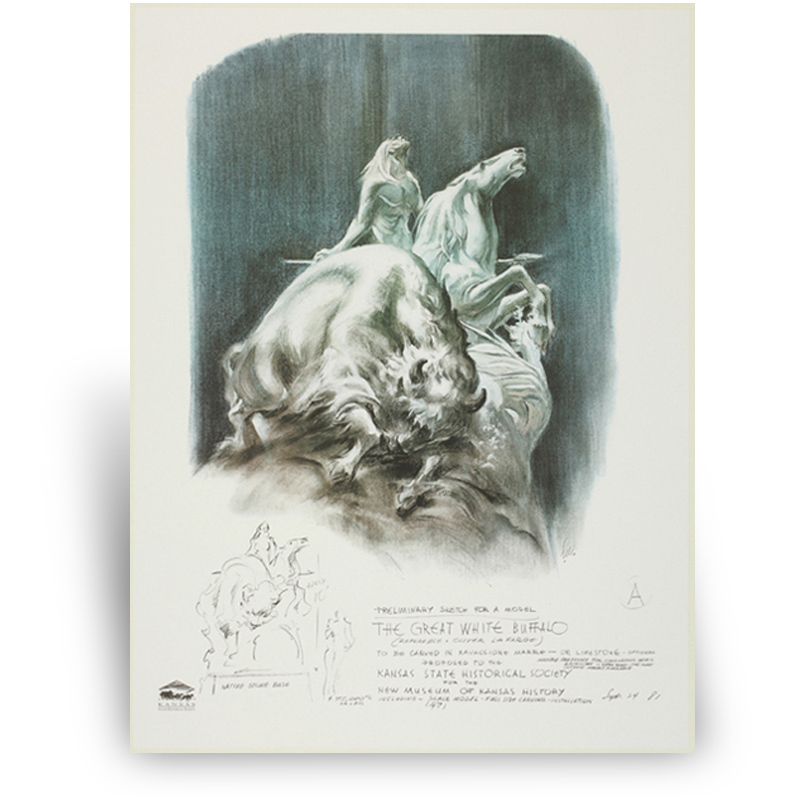 This poster is a sketch by Kansan Lumen Martin Winter featuring his sculpture of the Great White Buffalo, which resides on the grounds of the Kansas Historical Society headquarters in Topeka, Kansas. The sculpture is made of eight tons of white Ravaccione Italian marble and portrays a buffalo and an American Indian living in harmony. Millions of bison, popularly called the buffalo, once roamed the plains. The herds were nearly depleted but through conservation efforts, they were reestablished. In 1955 the American Bison was adopted as the state animal of Kansas.